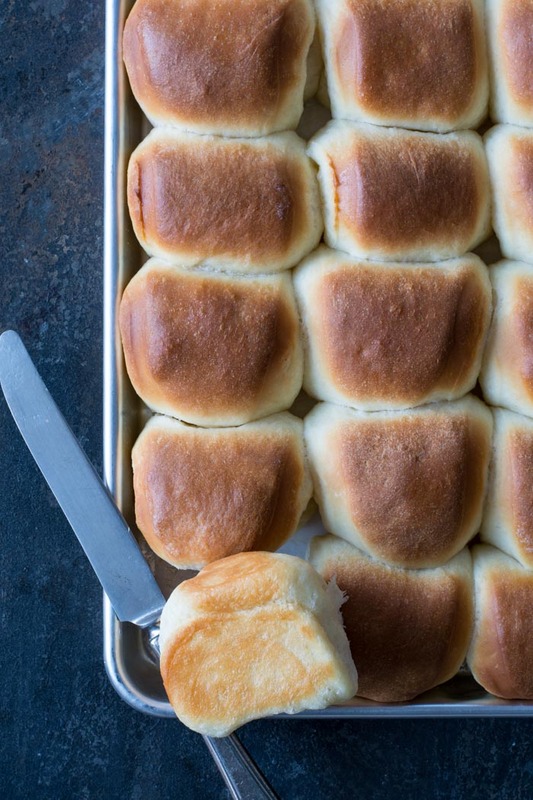 Buttery Parker House Rolls have been a Thanksgiving tradition in our family for many years. 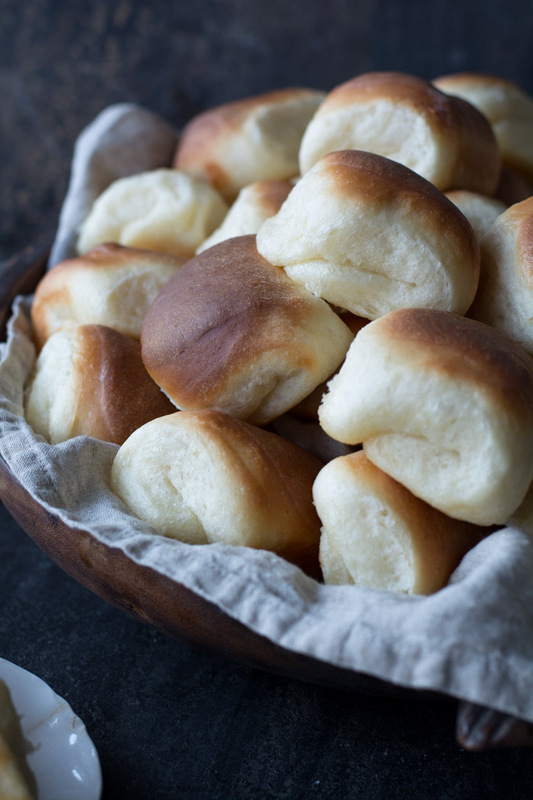 Parker House rolls have been served at most family gatherings since I was a small girl. 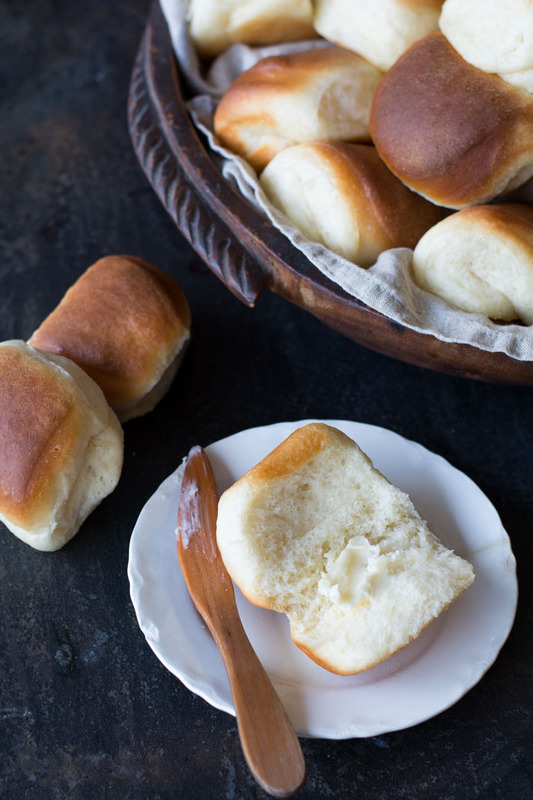 Parker House rolls must be baked in butter then buttered again and served with homemade freezer jam. It’s pure tradition. A tradition our family embraces completely. Begin by snatching the step-by-step instructions for this recipe by going to the Cheddar Cheese Rolls recipe. I use this recipe for a lot of recipes because it’s easy and it works. I use this recipe to make cinnamon rolls as well. Place the dough in a large oiled bowl. Cover with plastic wrap and allow to rise for 1 hour. Whoa! Looks like I needed a larger bowl. Once the dough has risen, gently turn dough out on to a lightly oiled board or countertop. DO NOT KNEAD OR PUNCH DOWN THE DOUGH. 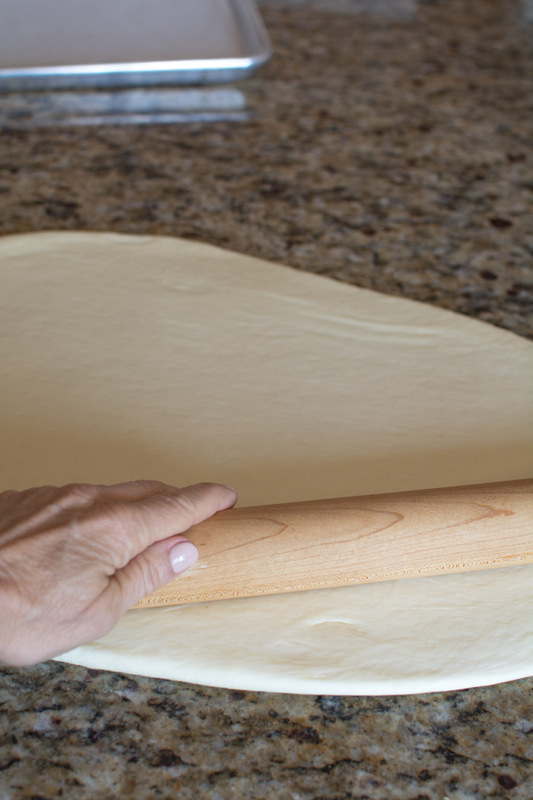 Gently roll out dough to 1/2-inch thickness. 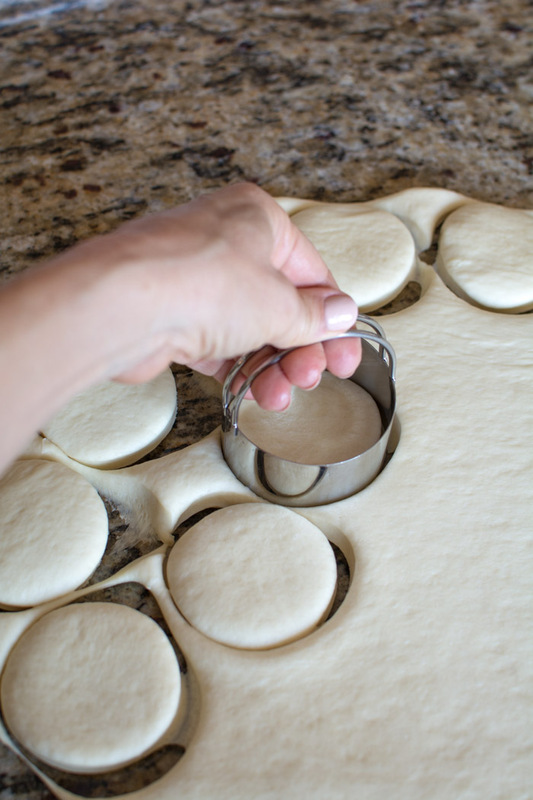 Using a 3-inch round cutter, cut out circles of dough. 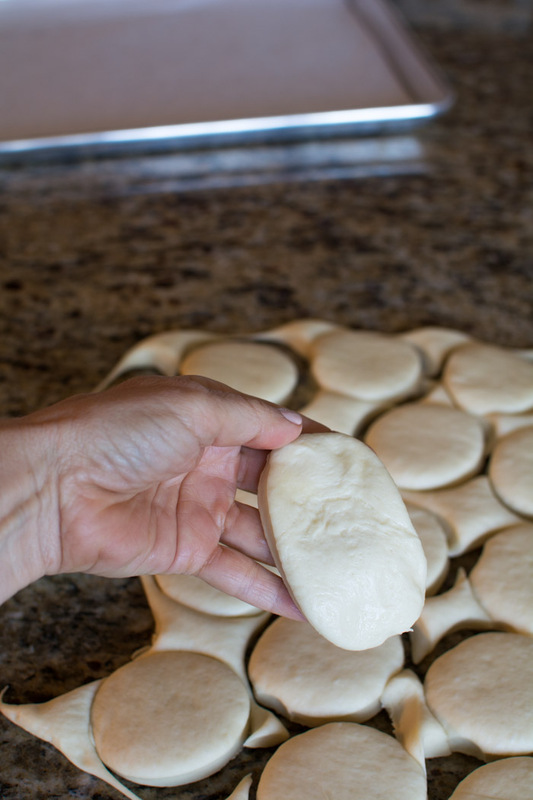 Gently stretch the dough, without forcing it, into an oval shape. Dip bottom 2/3rds of the oval into the melted 1/2 cup butter. 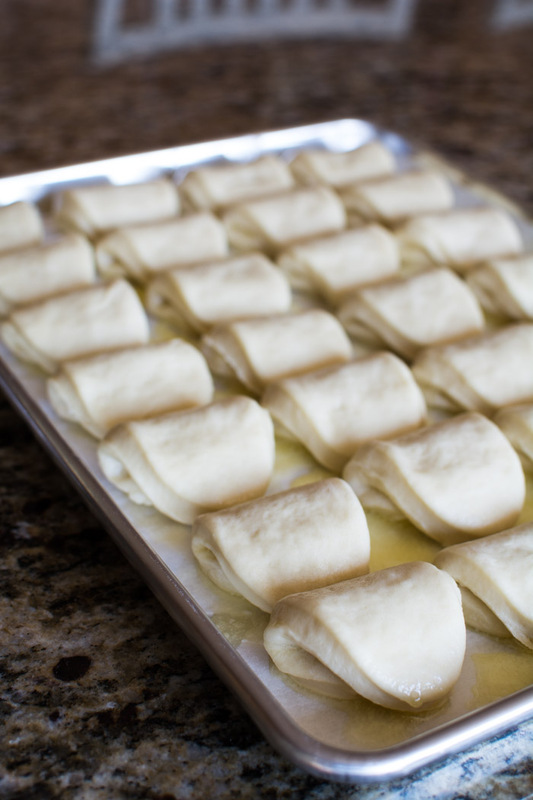 Fold dough over and place on a prepared baking sheet that has been greased or lined with parchment. Make sure the top of the roll is longer than the bottom. If you don’t do this it will open up during baking. 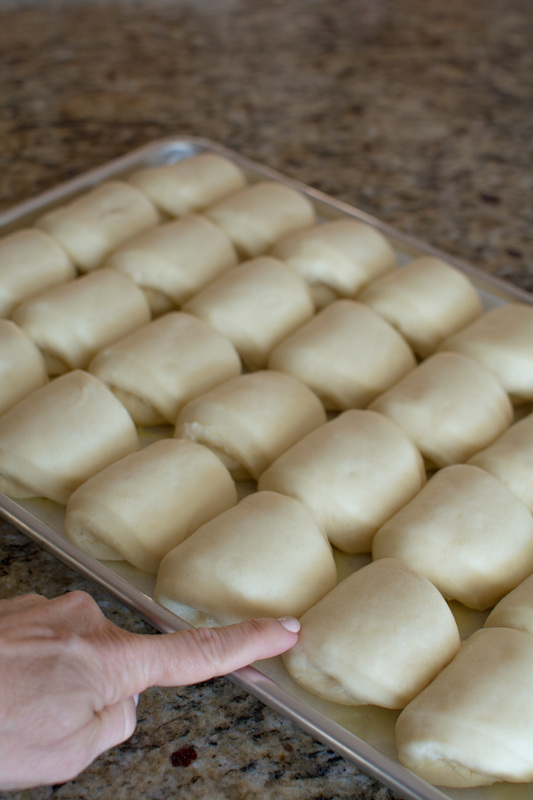 Leave about 1/4-inch to 1/2-inch space between rolls to allow for rising without crowding the pan. This way the rolls will bake more uniformly without being doughy. Next step is completely optional. I like to drizzle any leftover butter between the rolls. DO NOT pour over top of the rolls. It will cause them for brown unevenly. Just carefully drizzle between each row. Cover lightly with a cloth and allow to rise for about 30 minutes or until the dough feels like a soft marshmallow. Bake in preheated 400 degrees F oven for 15-20 minutes or until golden brown. The bottoms should be golden and buttery crisp. Perfect. Buttery Parker House Rolls are great for a leftover turkey sandwich with cranberries. Did I mention how these rolls freeze beautifully? In the bowl of an electric mixer combine, 4 cups of the flour, yeast, sugar, and salt. In a medium size sauce pan melt the butter. When butter has melted add the milk into the pan. Continue to barely warm the milk until it reaches a temperature of about 110-115 degrees. Remove from the heat and pour over the flour mixture while the mixer is running. Continue to beat for about 5-7 minutes. Making sure the yeast has dissolved. Beat in the eggs. Add remaining flour 1 cup at a time. Add enough flour to make a soft, slightly sticky dough or until the dough begins to pull away from the edges of the bowl while mixing. Place the dough in a large bowl that has been oiled. 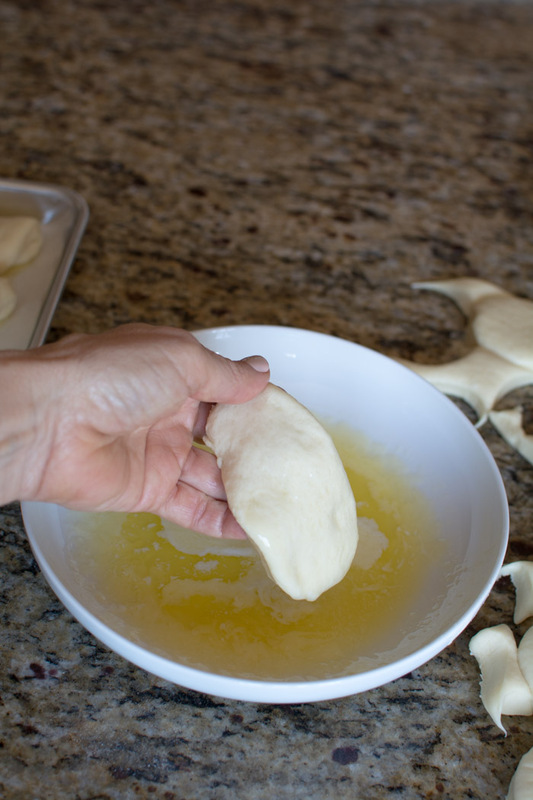 Turn the dough to coat completely in the oil. Cover and let rise in a warm place for about 1 hour or until the dough has doubled in size. Melt 1/2 cup butter. Set aside. Remove the dough from the bowl and roll out about 1/2-inch thick. Using a 3-inch round cutter, cut rounds for rolls. Gently stretch each round to form an oval shape. Dip in melted butter. 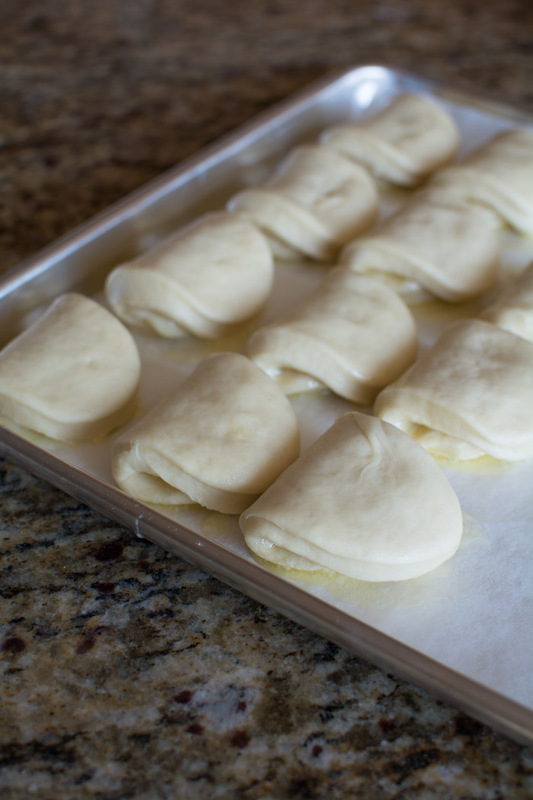 Fold dough in half so that the top half is longer than the bottom. 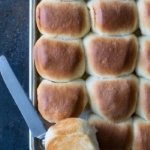 Place the rolls on a parchment lined baking sheet about ½-inch apart. Cover and let rise for about 30 minutes. Bake in a preheated 400-degree oven for 15-20 minutes or until golden. Because the yeast is added in with flour, rapid rise works best. If using regular active yeast, mix with 1/4 cup warm water then add to flour mixture. 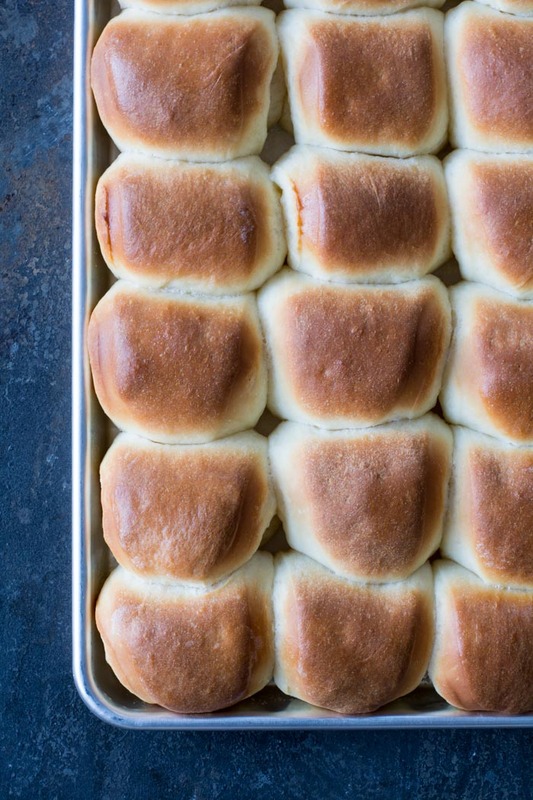 To keep the bottom of rolls crisp after baking, tip rolls out of pan top side down and let cool. I’m heading to Denver today for Thanksgiving to be with my grandkids. There are no alterations. Just slowly add in the last 2-3 cups of flour slowly. I’m at about 5000 altitude and sometimes I only need 6 cups of flour total. 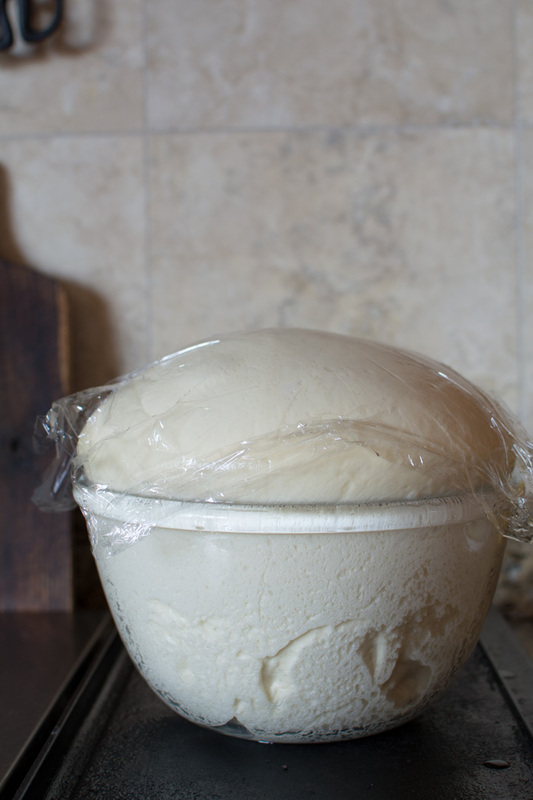 The dough will be a little sticky but will be easy to handle after the rise time. Have a great Thanksgiving. I’ll be in Parker, CO having the same rolls. Should the butter-dipped part of the dough be placed down or up on the baking sheet? Place the buttered side down on the baking sheet. Yes! You will have enough dough to make 2 loaves.